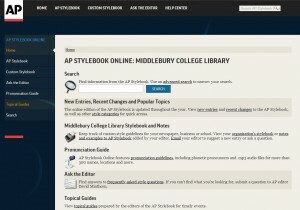 The AP Stylebook Online is a writing style guide for journalists. It includes an A-Z guide to usage, spelling and punctuation. 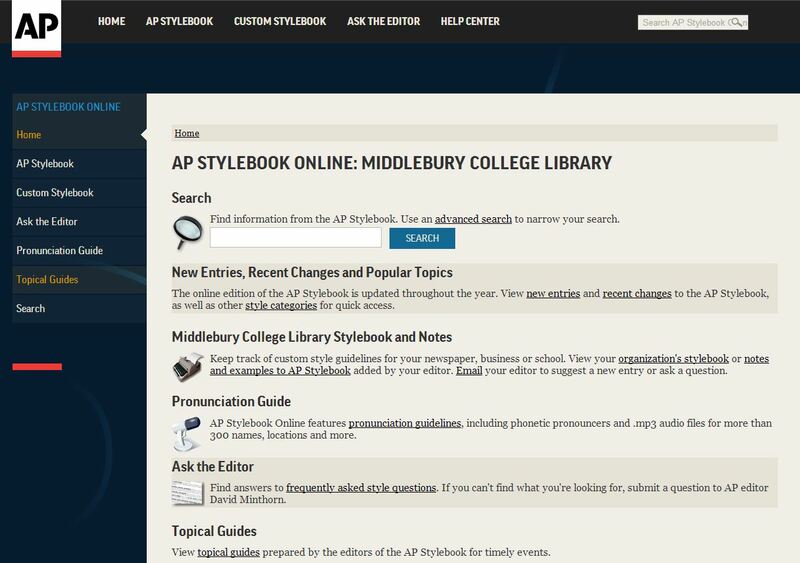 The online version is updated throughout the year and includes many useful features such as one-click access to new AP Stylebook entries and “Ask the Editor” where users can submit questions or search the archive of frequently asked questions. This trial runs until October 19. Take a look and let us know what you think. Email us at eaccess-admin@middlebury.edu . This entry was posted in LIS Staff Interest and tagged library collections, Library Spotlight, trials, trials FY 2014 on September 23, 2013 by Lisa McLaughlin.